"You don't want to be cleaning out your locker in May, there's no question," he said. "I had a great three months or whatever it was. I enjoyed every minute of it. I enjoyed coming to work with these guys. It was a great group of people, from the players to the whole organization and staff. "I'm glad I came back. It was awesome. Obviously disappointing, but that's the way it goes sometimes. I know this team, they'll learn and grow and be better. There's a lot to look forward to." But he has no plans to come out of retirement again. "I've milked this cow as long as it'll go," he said. "It's bone dry." Big news out of NSH with the Predators set to announce Mike Fisher @mikefisher1212 is coming out of retirement to return as an active player. Not sure anyone saw this coming, perhaps including Fisher himself. Word is Fisher was quite content in retirement but NSH reached out to him in recent weeks and planted the seed about a possible return. And here we are today, with Fisher having agreed to terms on what is believed to be a one year deal for the balance of this season. As you get older, you never want your identity to be caught up in hockey – especially for me, it’s all I’d ever done. There is so much more to life than that. When it all ends, you try to figure out, ‘Well, what am I going to do; what’s your purpose. -Mike Fisher, retired NHL player. Roy Lang III of the Shreveport Times has more from Fisher. He was in Shreveport for the Shreveport Mudbugs’ “Pucks and Prayers” event. The career of arguably the most recognizable player in Predators history ended Thursday when captain Mike Fisher announced his retirement in an exclusive for The Tennessean. Fisher played 1,088 NHL games across 17 seasons with the Predators and Ottawa Senators. The 37-year-old became synonymous with the Predators franchise during six-plus seasons, totaling 237 points in 413 games. At the conclusion of the Predators’ season following a six-game loss to the Pittsburgh Penguins in the Stanley Cup Final, Fisher cited “faith, family and then hockey” as his personal priorities. "Everyone wants to win in this game, no one probably more than me," Fisher said in June. "But there's other things. At the end of the day, this is a game. It's an important part of my life, but it's not everything." Nashville, Tenn. (September 8, 2016) – Nashville Predators President of Hockey Operations/General Manager David Poile announced today that forward Mike Fisher has been named the seventh captain in franchise history. Fisher, 36 (6/5/80), was a full-time alternate captain for the previous four seasons. He has been the Predators nominee for the King Clancy Award in four of the last five seasons, which is given to the player who best exemplifies leadership qualities on and off the ice and has made a noteworthy contribution in the community. The Peterborough, Ont., native became the franchise’s second-ever NHL Award winner in 2012 when he was the recipient of the NHL Foundation Award, which recognizes a player who applies the core values of hockey -- commitment, perseverance and teamwork -- to enrich the lives of people in his community. Predators forward Mike Fisher left Tuesday’s 5-2 win against the Coyotes with a lower-body injury and did not return. There was no official update on his status after the game. "He brings the whole package," Predators forward Filip Forsberg said. "Just his work ethic and he's really good in both (the) defensive zone and offensive zone. We don't know, I don't know anything about it, so I guess we'll have to wait a few days to see what's going on, but hopefully he'll be playing next game." Fisher lost his balance and his right side slammed hard into the boards after a light push from Coyotes forward Martin Hanzal in the second period. Unable to put much weight on his right leg, Fisher gingerly retreated to the bench and needed assistance as he returned to the locker room. Nashville, Tenn. – Nashville Predators President of Hockey Operations/General Manager David Poile released the following statement today regarding forward Mike Fisher. The refs called it a good goal and the situation room confimed the call. Mike Fisher received five for boarding and a game misconduct, Franson received a cut on the bridge of his nose when his visor came down and clipped him. He did need stiches to clos the cut. Like Doan and his wife and family, Fisher’s faith is also a staple in his marriage to country music star Carrie Underwood. It was one of the initial draws when the two first met. For Doan, a word that he repeats over and over is “genuine.” He said it six times during a 15-minute interview with ESPN.com. And it’s clear that perhaps what he’s trying to say is that a lot of athletes cite their faith but not all walk the walk. That’s one thing Doan and Fisher will never be accused of—not being genuine. Carrie Underwood is very excited that husband Mike Fisher’s hockey team is in the NHL playoffs, but she’s not quite as enthused about the rituals that come along with the games. Carrie, there is one sure way to put an end to that beard, even before it gets out of hand. Beauchemin might face a hearing this morning with NHL disciplinarian Brendan Shanahan after dropping Predators center Mike Fisher in the latter half of the first period with a hit in the neutral zone. Fisher suffered what the Predators called an “upper-body injury” and did not return to the game. But it was a hit that the rugged blue-liner and the Ducks ardently believe was clean in nature. “I’m just hoping he’s OK,” Beauchemin said. “Because that’s just one of those fast plays that happens. Just a hit shoulder to shoulder. That’s what the league is looking at and I really had my arm tucked in. (No) elbow. Nothing. Beauchemin did get two minutes for an illegal check to the head, watch the video and you can decide what is next…. -Carrie Underwood, wife of Mike Fisher of the Nashville Predators, via ShowbizSpy. The 30-year-old Fisher is an oddity in hockey. He is a throwback in that he plays with such abandon that even his teammates are left shaking their heads with how hard he goes. He plays an old-fashioned style, the classic checker when at centre and almost a Ron Ellis facsimile when he has been put on the wing, a player who moves up and down so directly it sometimes seems as if he is being controlled by a slot. He hardly drinks, rarely swears and attends church regularly. While other players would list golf as their favourite off-season activity, he would rather be out fishing or big-game hunting. While others drive Hummers, his choice of vehicle while in Ottawa was a Ford F-150. He is of a sports mindset that reaches beyond the black-and-white pictures of Beehive Golden Corn Syrup all the way back to Frank Merriwell, a ridiculously popular juvenile fiction character in the early part of the previous century who starred in novels, comic books, radio serials and even movies – handsome, smart, decent, polite, non-smoking, non-drinking, God-fearing, superb at sports. But a case can be made that no midseason NHL trade acquisition has been more important for a team than the Nashville Predators’ pickup of Mike Fisher. The Predators acquired Fisher with the idea that his two-way style fit well into coach Barry Trotz’s defensive gameplan, But three games into the Stanley Cup playoffs, he’s their leading scorer with five points. He’s tied for the league lead in that department, and he has been a true flag carrier, even to the point of fighting Anaheim Ducks captain Ryan Getzlaf in Sunday’s game. “There is not a chance that we would have made the playoffs without him,” Poile said. Nashville, Tenn. (February 10, 2011) – Nashville Predators President of Hockey Operations/General Manager David Poile announced today that the club has acquired center Mike Fisher from the Ottawa Senators in exchange for Nashville’s first-round pick in the 2011 Entry Draft and a conditional pick in the 2012 Draft. The conditional pick is Nashville’s third-round selection if the Predators win one round in the 2011 Stanley Cup Playoffs, and turns into a second-rounder in 2012 if the team wins two-or-more rounds. ***Cheers to Nashville’s Steve Sullivan, who had a pair of the three first period goals for his club, en route to a 4-3 Predators win. Sullivan had a chance to complete the rare single stanza hat trick in the waning seconds of the first but was denied on a breakaway by Jaroslav Halak in the St. Louis net. Mike Fisher, after leading his teammates in goal scoring for the first time in 17 years, married superstar recording artist Carrie Underwood in the off-season and appeared in a music video with his bride, plus the couple is having a new home built on the outskirts of Ottawa. It can’t be easy being a “Fish” in two fish bowls: the music/glam world he has married into and the fish bowl he has known, as a Canadian player on a Canadian-based National Hockey League team. Growing up in a small city like Peterborough, Ont., learning to skate and fish and hunt in his Kawartha Lakes, Ont., backyard, was hardly ideal training for fending off paparazzi (although that crossbow he favours would come in handy). But, on the surface, anyway, Fisher takes all the fuss and hype in stride. “You know what, living in Ottawa, we’re kind of protected from a lot of it,” Fisher says. “Nashville, the same. It would be different if we were living in L.A. or New York or something, but we’re fortunate to be living where we are. My guess is that most people would predict those numbers would have been a bit higher. But try to remember, this isn’t 1994 anymore. Fisher’s offensive production put him alongside some of the best second-line centres in the NHL last season. He fits right in with the following list of players whom I feel are the best second-line centres in the game. (This includes players like Patrick Sharp and Daniel Briere, who often switch between centre and wing, but for the purposes of this piece, I considered them centres). It’s officially Mike and Carrie Fisher. The elite wedding of Senators forward Mike Fisher, 30, and American sweetheart superstar country singer Carrie Underwood, 27, went ahead as planned Saturday in Greensboro, Ga. The couple, known for steadfastly guarding their privacy, gave exclusive coverage rights to People magazine, which reported Saturday evening 250 friends and family witnessed the event, set to classical music and featured the religious couple’s favourite Bible readings. Among those in attendance were country stars Tim McGraw and Faith Hill, as well as Ottawa Senators Chris Phillips, Shean Donovan, Nick Foligno, Chris Neil and former teammate Wade Redden. Fisher received 5 for boarding and a game misconduct. Too much? Dion Phaneuf’s arrival as the newest Maple Leaf in town means it won’t be long before main squeeze Elisha Cuthbert shows up at the Air Canada Centre, a place that hasn’t seen a power couple like this since Vince Carter and his mom left town. The 24-year-old Phaneuf, acquired from Calgary on Sunday, and Cuthbert, the 27-year-old Calgary native best known for her role in the TV drama 24, have been an item for nearly two years. They will have to do some hard training, though, to catch up with the power play going on in Ottawa. Singer Carrie Underwood and her Senators centreman Mike Fisher are coming off their cute-and-cuter Grammy Awards appearance Sunday night as they move toward a planned wedding that will be the most sought-after invitation in the game this summer. Senators heartthrob Mike Fisher and his country singer superstar girlfriend Carrie Underwood are engaged to be married. Fisher confirmed their engagement just moments ago as the Senators prepared for tonight’s game against the Boston Bruins at Scoriabank Place. Responding to questions, he said he popped the question to Underwood on Sunday, but declined to offer any other details at this point. Mike Fisher made a vow to his girlfriend of almost a year when she wrote a love note to him for all the world to see. “I told her that when my CD came out, I’d return the favour,” the Senators centre said with a laugh after Saturday’s 5-3 win over Buffalo. In an exclusive interview with Sun Media, Fisher also chuckled when asked if he had any immediate plans to propose to country singing superstar Carrie Underwood, who he has been dating since near the start of this year. “Who are you, Ellen?” he joked, referring to Ellen DeGeneres, the popular daytime TV host who last week pressed Underwood with similar questions. So much for any question as to the seriousness of the relationship. Less than two months after Carrie Underwood dove to the floor so as not to be caught by TSN cameras at a Senators game in Nashville, the country singing superstar let the world know of her feelings for Mike Fisher. 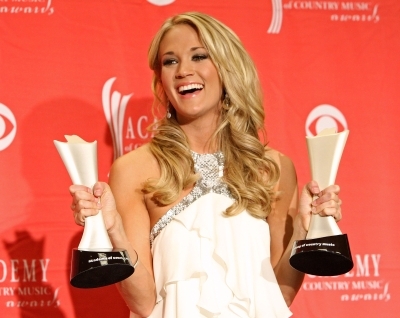 In her speech moments after being named the Entertainer Of The Year at the Academy of Country Music Awards, Underwood thanked her family, thanked God and acknowledged the Senators’ centre. “Mike baby, I wish you were here!” she blurted. Fans who come out to see the Ottawa Senators play may have noticed a little more glitter in the stands these days — two of the players’ celebrity girlfriends. Singers Carrie Underwood and Hilary Duff have Ottawa abuzz with celebrity sightings and gossip. 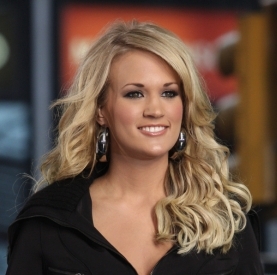 Underwood is rumoured to be dating Mike Fisher and Duff has been spotted around town with Mike Comrie. For those who follow the singers and not the Sens, Fisher and Comrie are both forwards with the Senators. Stories of sightings have appeared in People magazine and on Entertainment Tonight. In seasons like this one, Mike Fisher thinks of the message he jots on his hockey sticks, the same one that helped him over an even tougher hurdle—success. The woods are full of theorists who say Mike Fisher’s lack of production is related to a contract that pays him $6 million this season and a total of $21 million by the time it expires in 2013. Mike Fisher says that’s hogwash. “I signed the contract before last season, and I had the most goals I’ve ever scored (23, in 2007-08),” the Senators centre said before the 500th game of his NHL career. Carrie Underwood may have her eyes set on a hot new boy — Canadian hockey player Mike Fisher. The 25-year-old American Idol alum was spotted with her hair tied back at the “Ottawa Senators vs. Toronto Maple Leafs” hockey game at the Air Canada Centre in Toronto, Ontario, Canada on Saturday (January 3). Carrie’s 28-year-old Canuck cutie played with his fellow Senators but unfortunately lost out to the Leafs 3-1. Senators centre Mike Fisher is expected to miss two weeks with strained right knee ligaments, it was announced after practice this morning. The news is worse on Chris Neil. The rugged right winger will have arthroscopic surgery to repair a torn meniscus in his right knee. It’s not yet known how long Neil will be out of the lineup. Making things worse for Ottawa’s captain is a head injury suffered after a hit by Toronto Maple Leafs forward Mark Bell on Thursday night, identified by the team as an upper body injury. But if the Senators make the playoffs, they’ll be lucky to have enough healthy bodies. Captain Daniel Alfredsson, who is believed to have a concussion, exited two minutes into the second with the club called an “upper body injury” and centre Mike Fisher left with a leg injury in the first period. Senators assistant coach Greg Carvel told the club’s pay-per-view broadcast that both injuries were “serious” and that neither player would be in the lineup tonight against the Bruins. Ovechkin with 4 goals, Mike Fisher with 3, all in the 3rd period. The team learned on Sunday that centre Mike Fisher, who suffered an oblique muscle injury Saturday against the Atlanta Thrashers, is out for their two-game road swing through Boston and Atlanta this week. Fisher, who was on a hot streak going into Saturday with three goals and five points in four games, joins a list of hurting regulars that includes winger Patrick Eaves (separated shoulder) and defenceman Anton Volchenkov (broken finger). “It’s a substantial loss,” said Senators head coach John Paddock on Sunday. Scott Walker may be facing a suspension after the Carolina Hurricanes forward head-butted Ottawa Senators forward Mike Fisher in the face during a fight on Wednesday night. After Walker collided with Senators goalie Martin Gerber early in the second period of Carolina’s 6-0 loss, Fisher fought Walker and cut him under the left eye. Walker head-butted Fisher, earning a match penalty for attempt to injure. Fisher said he chipped one tooth and may have lost another. Walker was ejected from the game and now faces an automatic review from the NHL. According to RDS (not translated), Mike Fisher will be signing an extension for 5 years, $21M. Fisher injured his groin in Game 2 of the Stanley Cup final May 30 against the Anaheim Ducks and thought a summer of rest would take care of the problem. It hasn’t. “It was giving me problems all summer. I thought it would go away and it didn’t,” said the 27-year-old, who is entering his eighth NHL season and is coming off a 22-goal, 48-point season.